Wondering how to become a preschool teacher? Did you know you can become a preschool teacher online? Before 2010 I was a career woman climbing the corporate ladder. Now I'm a mom of 2 little girls & my priorities have completely changed. I want my work schedule to revolve around my kids' schedule, so making a living as a professional blogger is perfect for me. Another option is becoming a teacher & many of my mom friends have realized they have a passion for teaching once they have kids of their own. 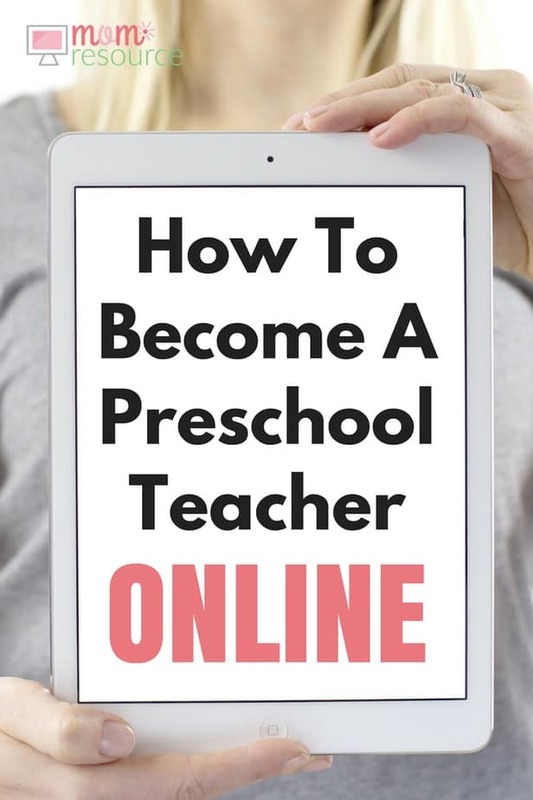 If you're wondering how to become a preschool teacher, it's easier than you think to get started online today! Giving kids a strong foundation is fulfilling but also physically & mentally exhausting, so you will need to have plenty of energy. You should also be able to effectively communicate with parents to keep them updated with the progress of their individual child. Luckily you can earn your degree online which is a flexible & affordable way to achieve your goals. Nowadays, you don't have to go into debt to continue your education! You just have to be sure to enroll in an online college that is an accredited member of DEAC (Distance Education Accrediting Commission), like Ashworth College. Once you have your degree you'll have both the confidence and skills to go after your dream job. Leave me a comment below & let me know what's holding you back from becoming a preschool teacher TODAY.